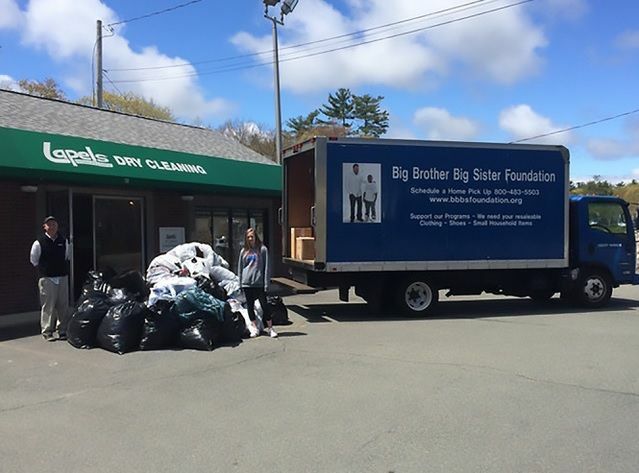 Lapels Dry Cleaning will host their annual clothing drive to benefit Big Brother Big Sister starting April 13 and running through April 28. Lapels Dry Cleaning stores in Arizona, Connecticut, and Massachusetts will be accepting clothing donations during this period. “We strongly encourage Lapels customers and the general public to participate in this very worthy effort to raise money for Big Brother Big Sister organization in the three states participating—Arizona, Massachusetts and Connecticut,” said Dubois.For the addresses of Lapels Dry Cleaning stores near you, please visit www.mylapels.com.